One of iGEM's most cherished values is its open and free exchange of parts and devices, facilitated by the Repository of Standard Biological Parts. This repository allows for standardization of synthetic biology, which assures that integrating one another’s work is easy, and prevents duplication of research efforts. This way, scientists can benefit from each other in the most efficient way possible! For software, it is very common that such an open source community exists. However, it struck us that in the medical field, where our project Mantis fits, an open source community is rare. Of course, synthetic biology and health care are two very different things, but these fields overlap more and more. Take our diagnostic project as an example! How would our world change if health care would become open source? To help us answer this question, we interviewed dr. Henk van den Belt. He is a philosopher at Wageningen University & Research and an expert in the field of patenting. He also was a judge for iGEM Human Practices at the European-African final in 2011. Currently, the main incentive for scientific development in the pharmaceutical world is money. However, developing countries generally lack sufficient funds. How can this dilemma be solved? There is indeed a dilemma here. Making money is an important incentive for pharmaceutical companies and they protect their claim through patenting innovations. This clashes with the iGEM value of sharing intellectual property. At the moment, some health care is available for a lowered price as it is a good way of creating goodwill for companies. But this is, of course, not a universal solution. When you take away the money incentive, no one might be willing to do research anymore. However, free market prices are often too high for developing countries, and thus patients there do not receive the care they need. Two solutions exist here: charity organizations can make a deal with pharmaceutical companies, where they buy the products at market prices and then provide them for free to those who need them. Alternatively, a pharmaceutical company may find itself pressured by public opinion to offer their products to those in developing countries for lower prices. This generates goodwill for that company, but does risk cheap medication intended for the African market being smuggled to and sold in Europe. Would an open source-based market benefit health care in developing countries, as healthcare prices might drop? In 1995, the Agreement of Trade-Related Aspects of Intellectual Property Rights (TRIPS) became effective. This agreement made it obligatory for countries to use patent laws on medicine, including the health care market. These patent laws used to be absent in for example India, where generic medicine producers could ‘copy’ newly produced medicines in Europe or the US, and ship them for lower prices to Africa. This way, new medicines were made affordable to developing countries. During this time India was dubbed as the “Apothecary of the poor world”. 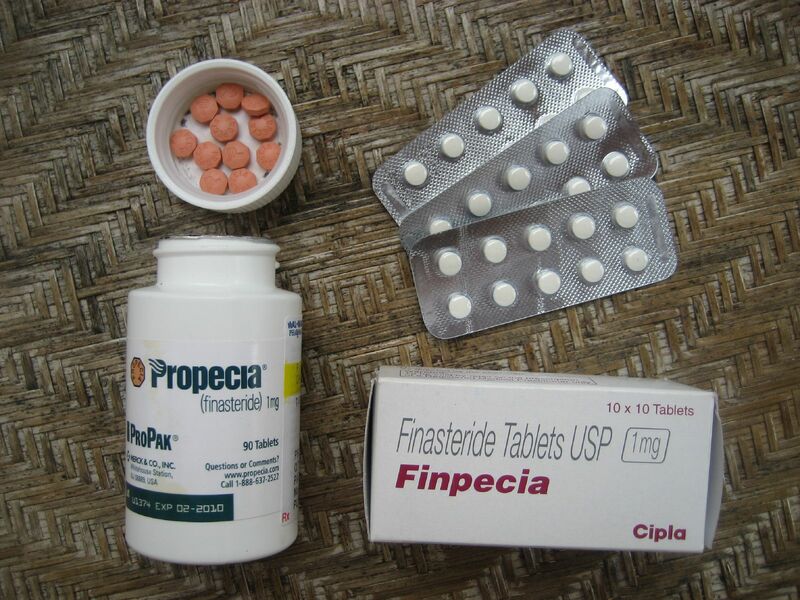 The TRIPS agreement effectively killed this market, and made it possible for pharmaceutical companies to protect their intellectual property worldwide. This ‘replication’, enabled by a lack of patents, was a positive situation for health care in Africa. But it was considered to be more important to protect the intellectual property of pharmaceutical companies than to provide medicine at a low rate to people in need. In recent years, even in the Western world, politicians from parties that strongly support the free market have voiced concerns about the ever-increasing cost of medicine and health care. But for the coming decade, there seems to be no political support to change the current system. How can we guarantee production of high quality products in an open source based market? A big part of the cost in medicine and health care in general is due to safety levels and regulation. So even if the R&D costs would drop dramatically in an open source market, these costs remain. Mostly, developing countries take on regulations from the place of manufacturing, say the US, but this would also change when production is local, which is most likely the case for Mantis. From an utilitarian point of view one could argue that in the case of a severe infectious disease outbreak, lowering the safety standards is ethically justified. The risk of the disease is far greater than the risks of subpar quality of pharmaceuticals or diagnostics. This also means that people in developing countries, during the time of an infectious disease outbreak, receive less protection than those in the Western world purely because of financial incentives. Furthermore, it encourages the use of people in developing countries as guinea pigs, as the severity of disease outbreaks there also makes it easier to experiment with new pharmaceutical products, which may, once found to be reliable and safe, be intended for the Western markets. Can DIY biology (DIY-bio) be used effectively in developing countries? And will this create more independence from the Western world? For DIY-bio more things are required than just the DNA. A certain level of education and infrastructure is needed, which is now mostly missing. For example, this year only two teams from Africa participate in iGEM. However, it can be a small step in increasing the independence of developing countries. As of now, health care is often set up by Médecins Sans Frontières (MSF, Doctors Without Borders) or dependent on benefactors like Bill Gates. A project like Mantis, in which developing countries are responsible for producing the project, nicely fits in the goal of making developing countries more independent. Many iGEM teams have worked on medical diagnostics based on synthetic biology, and some of them have also aimed their project at developing countries. The technological challenges in these projects may one day be resolved and synthetic biology-based diagnostics may become widely applied. But even when all technological hurdles are removed, not all problems will be immediately solved. As part of our project, we will speculate on that issues may arise in the distant future. The philosophy behind Mantis, to provide diagnostic technology that can be produced locally, exactly fits the aim to make developing countries more self-sufficient and independent from foreign aid. Open source synthetic biology can make technology freely available, but much more is needed to provide quality-controlled diagnostic tests in the right place at the right time. Even when technological advances inside the field of synthetic biology make local production of diagnostic tests possible, it is hard to envision how central oversight can guarantee the reliability of the diagnostic can be superseded. Parallels between Information Technology (IT), where open source models are already commonly used, can be drawn. But the methods used by IT to manage open source projects are unique to the nature of software and cannot be transferred to synthetic biology. Furthermore, even in IT, where there have been several successful open source projects (Linux, Android, Firefox), there are still doubts about how to develop a commercially business model. 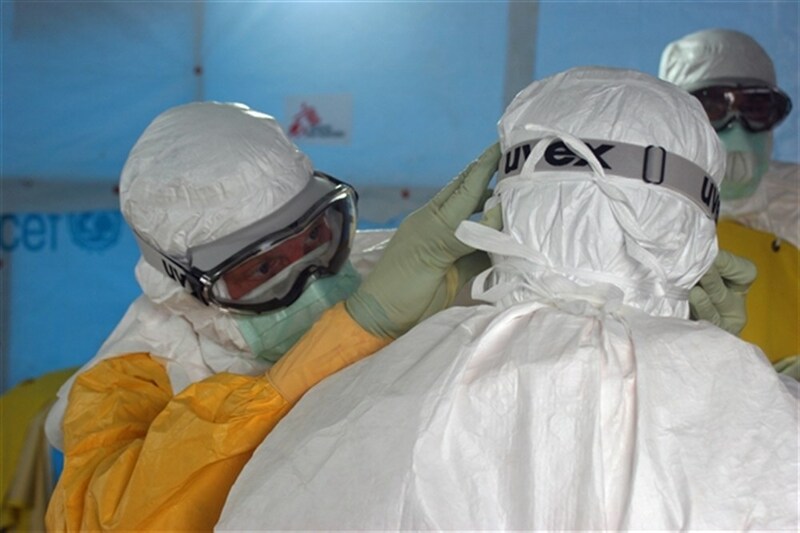 In the case of a severe emergency outbreak of an infectious disease in a developing country, international organizations and funding from western countries are essential. In the future, Mantis production and use may be set up by organizations like WHO or MSF. But these projects are mostly temporary. Once the number of patients drops, an NGO may re-evaluate the priority of the project, which can result in termination of a very successful project. In the case of Mantis, local communities are likely still able to produce new Mantis cells and they will continue using the Mantis diagnostic that has proven to be so successful. But the doctors and health workers that originally introduced Mantis, who were able to maintain the quality of the Mantis cells and continuously verify the reliability of the diagnostic, are no longer there. With Mantis there are additional problems where genetic drift and discarding the synthetic constructs in order to improve fitness will both deteriorate the quality of Mantis. Such communities, where Mantis was introduced but professional support is only temporary, may resort to DIY-bio to maintain the quality of Mantis. To us, it remains unclear if training local staff to maintain Mantis is realistic. In a more unlikely scenario, local communities adopt Mantis using DIY-bio without any outside professional assistance. This scenario would depend on the access to medical technology lagging behind the adaption of DIY-bio. With the predicted increase in DIY-bio and the continuing (and urgent) lack of access to certain medical technologies, in the future local laboratories that lack the required equipment to carry out certified diagnostic tests may turn to DIY-bio. In the same spirit as Mantis, diagnostics or therapeutics can be made easier to produce through synthetic biology. We cannot rule out that local laboratories won’t take initiatives by using DIY-bio to produce their diagnostics or therapeutics locally. It is doubtful that such attempts will be successful. Furthermore, those that attempt to use Mantis currently have no way to be sure if their Mantis is performing as intended. 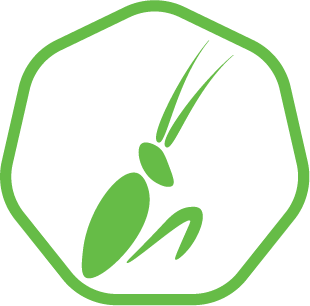 In the case of Mantis' current implementation, we have doubts that the quality of Mantis can be maintained when constructed without the required training. The urgency and the lives at stake during a severe outbreak make for a complex ethical situation between having no diagnostic at all, or a diagnostic that is not state-of-the-art constructed using DIY-bio. We propose that with the release of technology that can be used in DIY-bio, it is not enough to merely provide DNA sequences. An education platform informing how to properly use and apply the open source technology that is offered is essential. This is likely not sufficient, but a first step towards more responsible use of DIY-bio. While the current patent-based market has its flaws and fails to offer a straightforward market-based way to provide health care to the poorest people in the world, it doesn’t seem likely that there will be a major change soon. Money is a major driver of innovation and by using patents, companies can protect their claim. Furthermore it seems unlikely that an open source based market could be installed or effectively sustain itself alongside a patent-based market. However, the principles of DIY-bio and an open source market could also be of use in developing countries, provided that proper infrastructure is set up. This could be a step forward in making developing countries more independent.